Association Management Partners (AMP) is a Swiss company which specialises in establishing and coordinating collaborations in the healthcare sector. Our vision is to bridge the gaps between medical science, medical associations and the healthcare industry. We provide comprehensive and integrated packages of services so that our clients can focus on their core competencies without distraction. We deliver all of this while leveraging an international team to deliver the highest standards of efficiency, professionalism and cost-effectiveness. 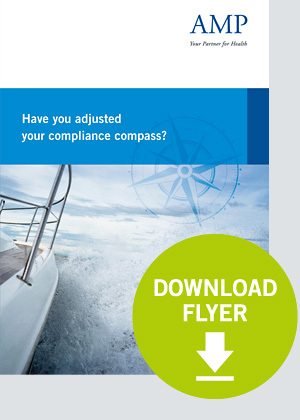 Have you adjusted your compliance compass?